Evelina is an enormously popular American YouTuber, who also runs a very successful blog and a thriving Instagram account. Her specialities are in fashion and makeup, posting numerous makeup tutorials and lookbooks which are so popular with her followers. We love her laid-back sense of style, which mixes classic pieces with more modern and statement accessories. 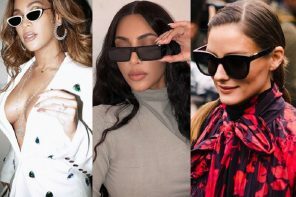 She is also famous for her gorgeous eyewear, and we have compiled some of our favourite looks into this one article. Find out how to steal her style! How gorgeous is this look? We just love the rose gold cat-eye shaped sunglasses with mirror lenses, which are so pretty and feminine. They look amazing teamed with the ripped black skinny jeans and lace-up trainers. The star detailing on her top and shoes adds an extra level of detail to the casual outfit. Get the look with the MICHAEL KORS MK1020 INA. These stunning sunglasses feature a classic cat-eye shape, rose gold metal frames and pink mirror lenses. The tortoiseshell on the top of the frames adds some extra interest to the pair. This look is just amazing, and makes a total fashion statement! The black sheer dress features stunning bodice and stud detailing, and looks gorgeous teamed with her white ankle boots. 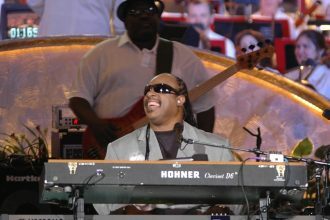 The round sunglasses provide an extra level of detail to the outfit. 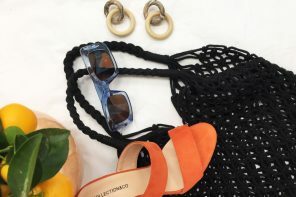 Round sunnies are really in vogue this season, and have been seen on many of the most fashionable celebrities and fashionistas. Get the look with the Ray-Ban RB3592. 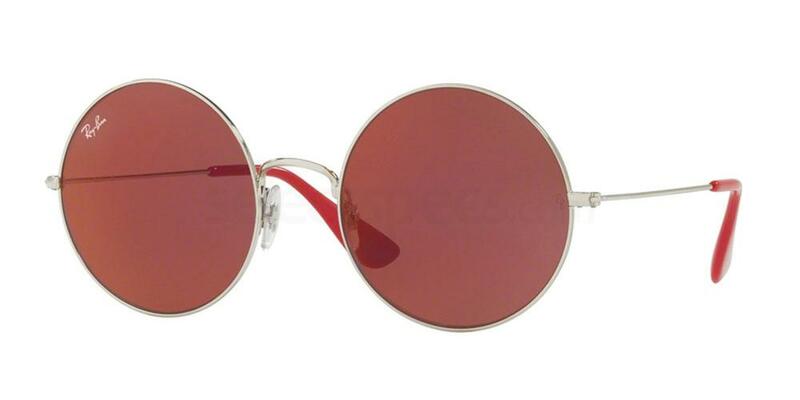 This pair is very similar to Evelina’s, with the thin silver frame and red tinted lenses giving them a quirky feel whilst also still being super easy to wear. Octagonal and hexagonal frames are another key trend which is becoming more prominent and popular at the moment. Evelina looks gorgeous in her cute octagonal frames. We love the copper mirror lenses and the simple black frame. The sunnies look gorgeous teamed with her butterfly print dress and floral hair accessory! A really pretty summery look! 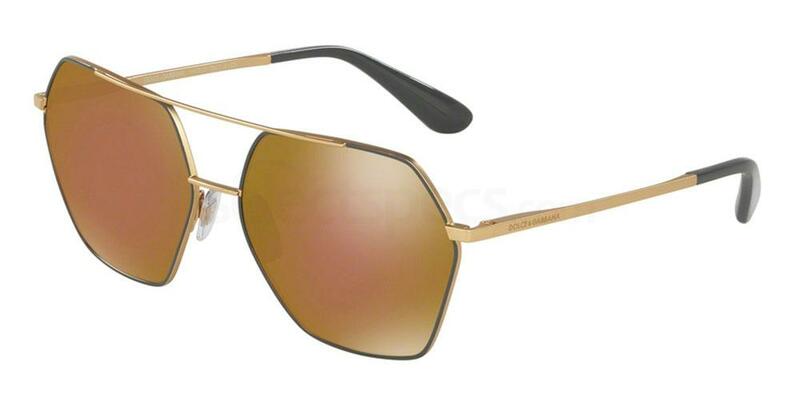 Steal her style with the Dolce & Gabbana DG2157. These statement sunnies feature copper mirror lenses, gold frames and contrasting black detail on the temples. This style is also available in lots of other gorgeous colours. We think this unicorn-esque look from Evelina is just super pretty and fun! We love her pink and purple hair dye, unicorn top and silver studded bag. She also wears some sporty style pale purple sunglasses, which work with the rest of the outfit beautifully. Her pair are rimless and with very thin silver temples, making them quite simple and understated. 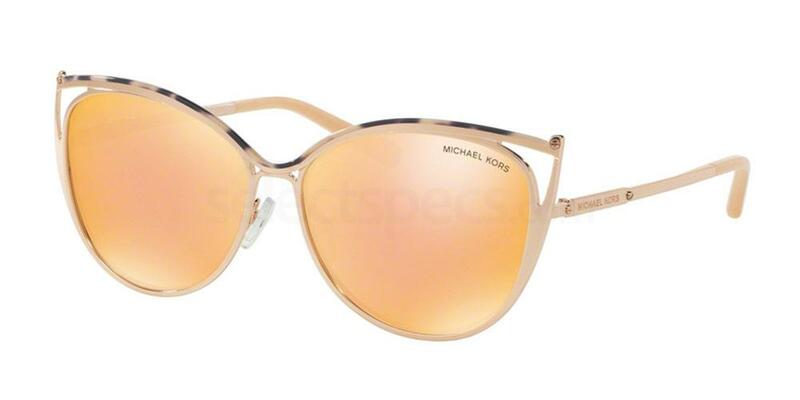 You can get her sunglasses look with the MICHAEL KORS 0MK1017 SWEET ESCAPE. 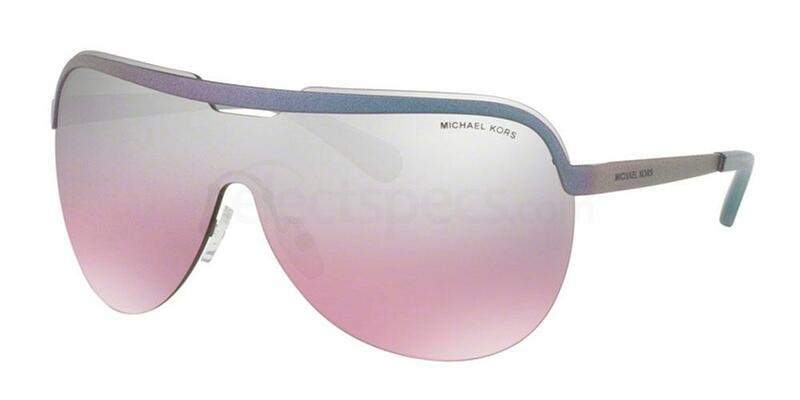 These gorgeous sunnies feature pink and purple ombre lenses and a purple top bar and lenses.